Five articles in 6 weeks in PA's official newspaper blame US for establishing the Islamic State, to divide and control the Muslim world. The Palestinian Authority official daily has published five articles in the last six weeks accusing the United States of establishing the radical Islamic movement Islamic State (ISIS or IS), which has conquered vast territory in Syria and Iraq in recent months, reports Palestinian Media Watch. IS has declared itself a Caliphate, thereby claiming religious authority over all Muslims; its goal is to bring much of the Middle East, including Jordan, Israel, Palestine, Lebanon, Kuwait, and Cyprus under its control. To this end, IS has used extreme terror tactics, including decapitations, crucifixions and mass murders that were filmed and posted on YouTube. "The wars in Libya, Iraq, Syria and Palestine were planned by the US in order to protect its interests... The ISIS, Islamic Front, and Al-Nusra Front (i.e., all radical Islamists) are Muslims from various countries the US is using to fight in Iraq and Syria, in order to fragment the unity of these two Arab countries... We are now more aware that the Americans - who want to fight for their own interests using Islamic, Jewish and Christian believers - are truly the head of the snake." "ISIS, the perpetrators of atrocities and the groups that hoist the banner of religion seem to be raising their weapons in sync with Washington, and fight the US verbally, but in practice are killing their enemies. Is this a coincidence, or was it planned ahead of time?" "The radical terrorists of ISIS and those like them, who were created by Israel and the US, are paving the way for Israel to act like them." 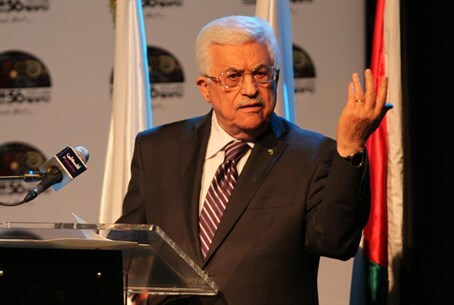 As Palestinian Media Watch reported in June, the current editor in chief of the official PA daily Al-Hayat Al-Jadida was appointed by the presidential decree of PA chief Mahmoud Abbas. "[The US,] whose most advanced pawns include Israel and its new creation, ISIS, whose goal is to destroy the Arab world and eliminate the Palestinian cause." PMW has documented that the Palestinian Authority frequently publishes libels and vitriol directed against the United States.